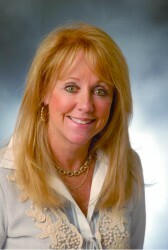 Lynne Corddry serves as vice president of business development for the public sector at Red Hat. Her responsibilities with the open source technology provider include overseeing the system integrator community that provides services to the public sector. Corddry is a well-versed technology veteran, serving with companies including NetApp and systems integrators firm Unisys. She recently spoke with ExecutiveBiz about her experiences at each firm, Red Hat’s subscription model successes and market opportunities the company can capitalize on with its recent Gluster acquisition. ExecutiveBiz: What strategies do you employ to effectively grow Red Hat’s federal business? Lynne Corddry: I run business development for Red Hat on the government sector side, which includes both federal and public sector pieces. We cover government group system integrators in their entirety and support both sales to and sales through. We own the sales of the SI in its entirety and that works out very well for us. My team in the federal group within Red Hat covers both system integrators as well as an overlay to the sales folk in the area on the government side. Our system is set up so that business development coverage areas overlay the sales department. I may have one business development person covering Lockheed Martin and one person covering Northrop Grumman. We’ll understand an SI from the perspective of their infrastructure as well as all of the programs that they’re covering. A person covering Lockheed may also cover the Army and have goals for both. They’re all interlocked together, which creates a lot of camaraderie and synergy amongst all the teams. It’s critical for us to cover the system integrators, as well as to cover the tactical side, and almost 70 percent of our business goes through system integrators. Paul Smith, vice president and general manager of public sector operations at Red Hat, oversees the government sector that covers both sales and business development. It is a tightly integrated organization. We focus on strategic opportunities and tactical, so that we’re seeing revenue on a yearly basis, not just 24 months out. ExecutiveBiz: Are there any areas you could identify that you expect growth? Lynne Corddry: As the government tries to do more insourcing, we see that as a big benefit for Red Hat. We closely team with the systems integrators from a cost standpoint. They see new opportunities and technology by using Red Hat to help accommodate the government and support some of their efforts reducing expenditures. Red Hat’s mainstay is definitely Red Hat Enterprise Linux. This year we’re celebrating RHEL’s ten-year anniversary and are excited to share all the success stories it has brought to partners and customers. The product continues to grow very fast, especially in an environment where customers are concerned about security, agility and cost savings. This is an area that has been beneficial to both government and to system integrators. Our middleware product, JBoss, is growing very fast in the enterprise performance area due to scalability and stability. We recently acquired Gluster. I’ve already had many meetings with potential resellers of that product. As customers move from the high-end storage systems to scaling out, we see a lot of potential there. Gluster had business in that market already, but now Red Hat has made it enterprise ready to be available in June. ExecutiveBiz: What lessons learned do you bring to your current position from your time spent with NetApp and Unisys? Lynne Corddry: I’ve been fortunate to work in different types of companies. I’ve been here at Red Hat for seven and a half years. When I went to NetApp, we were probably doing less than $13 million a year in the government. In my five years there, we increased to over $100 million. By being humble and hungry, going after opportunities and having a leading edge product, we grew fairly fast. I like starting with companies that are under $100 million and seeing what happens. That’s what’s happened with Red Hat. It was a $100 million company when I came here and now we just hit a billion. People used to ask why I would join an open source company or how we could sell free software. My answer is that subscription models prove to be the right way as evidenced by the success of Salesforce and Red Hat. It’s a much better model than selling perpetual licenses, because customers can decide what they want and stay with us as long as they want – contracts and vendor lock-ins are obsolete. When they use a Linux platform; we’re there to support them and ensure the security, agility and integrity of the Linux. Unisys was a large company. I ran system and technology for about a 500-person organization. Working with a big company, you can’t really take that ship and turn it quickly. My feeling was open source was hot and we needed to look at it. Even though they had a lot of built-in infrastructure which helped with opportunities, it was difficult to steer a new way. I had never worked in a system integrator company. I learned to bring all of the pieces and point products together and sell one product. It really helped me here at Red Hat. Our application stack includes virtualization, storage, middleware, grid and messaging which are some of the vital components in a complete solution. ExecutiveBiz: What are the benefits of open source and what future applications do you see? Lynne Corddry: The benefit of open source is the community. Users want to be able work on a product that they like to use and where they can make a difference, and not be worried by security. Red Hat takes the best in the community and we package it into a program called Fedora that is available for free for the customers to use. Then Red Hat takes the Fedora product and makes a Red Hat Enterprise Linux from that. We provide the Enterprise version of Linux. We work with application partners to ensure integrity of an open source Linux package running on someone’s hardware system. They’ve got the Red Hat enterprise backing so they know it’s secure and agile. When we bought JBoss, Red Hat’s middleware product, we did the exact same thing for the community. We created jboss.org and then we created our own JBoss version where users can purchase a subscription. We will do that with Gluster now, our new Open Source Storage solution. ExecutiveBiz: How do certification programs and partnerships benefit Red Hat and its business development structure – will they continue? Lynne Corddry: We have the cloud certified program using our technology and open source Linux, which people say is made for the cloud. You can select your architecture and infrastructure. Customers are moving to Red Had because the flexibility and the economics of it in a cloud environment. We work with Autonomic Resources, IBM, SAIC and Harris Corp. We’re continuing in negotiations with a number of companies around our cloud. As an open source leader, Red Hat provides everything you want to build in a cloud in an open environment. We embrace your organization around our cloud, which enables applications across clouds. We are able to leverage existing IT investments such as physical servers, virtualization platforms or public clouds to run our technology stacks. It lets IT organizations evolve into a cloud. ExecutiveBiz: Is the company already benefiting from its Gluster purchase and will this business deal play a more important role to Red Hat’s public sector success? Lynne Corddry: We acquired Gluster to extend Red Hat’s portfolio with leading capability for managing storage for unstructured data. That’s where we believe the market is going and we’ll see the growth of unstructured data dramatically outpace structured data. Enterprises are going to be challenged to design new strategies for managing their companies and any legacy solution. By acquiring Gluster we put this together, and this is the market that we’re going after. We have one of the largest open source teams in the world and we’re creating roadmaps on how it’s going to get customers to different solutions. Gluster, through unstructured data, we believe will account for over 80 percent of all the data when you talk about big data. That will continue to grow and outpace any of the structured data. I was looking at Gluster even before Red Hat, because a number of customers were using it. We thought it was an incredible product. If you take a look at what other companies offer, they’re high-end machines, very expensive, big footprints and they need a lot of power. You don’t need that anymore. Red Hat Storage allows users to create a lamp stack and massively scale out a modular storage environment. The customer is enabled to use whatever platform they have. We support the entire infrastructure that the government wants. We’re providing high performance Linux file systems deployable on-premise and in private and public clouds. Gluster is an application nobody would have ever heard of six years ago, but today it’s going to be the next fastest growth area for Red Hat. ExecutiveBiz: How should the government approach virtualization, what benefits are there and what role can Red Hat play in this scenario? Lynne Corddry: Red Hat has done some things to set itself apart in order to grow and get line share into the cloud. One of the things that we’ve done is to make our virtualization ecosystem very cost-efficient for the customer. We are the only comprehensive security virtualization product out there. In a Red Hat virtualized cloud, we have PL4 high-level security built into it. We have the manageability on our virtualization and the functionality, which makes it so competitive in the marketplace. Currently, we’re in test sites all over the place. The market is prime for that. They’re always looking for, “Who else can I go to if, especially in this marketplace, it’s just too expensive right now in the environment that I’m running? Where can I go and make some changes and save?” That’s where Red Hat sees itself stepping into the virtualization marketplace. We’re creating technology for the government that is easy to use, affordable, flexible and secure.